Thank you Juicy Juice for sponsoring today's post! When planning for a road trip, it is a good idea to create a checklist of items that you will need along the way. A checklist should be completed at least one week before the scheduled trip and should also be revisited the day before leaving to ensure that everything is packed. Now, let’s get started with some of the most common road trip must haves. Music helps keep children from arguing on road trips. It is best to have a bit of variety so that everyone has something to listen to that they enjoy. If possible, consider a wireless device loaded with music for each child so that they can listen privately to their preferred artists. There may be construction or other delays that take up time on the road. This puts meal breaks behind and leaves you feeling a little sluggish. Keep ready snacks in a bag that is easily accessible that contain a little carbohydrates and a good amount of protein for energy. Avoid snacks with empty calories like fruit snacks, candy and snack crackers. You should always use a reliable navigation system on road trips. If you have a windshield mounted option, ensure that the entire system is up-to-date. Customize your trip by planning stops at major landmarks, with those marked in your trip details. Some navigation systems are completely programmable for activities, landmark stops and entertainment. An emergency roadside safety kit that includes a flashlight with fresh batteries, road flares, ponchos, first aid items and a small tool kit should be packed. The kit should be located just inside the trunk area where nothing else needs to be moved to access it. Rather than packing several single tools, consider a few multi-tools with varying screwdriver heads, pliers and attachments. Traffic does not always cooperate, neither does the weather, so taking along extra water helps prevent dehydration. It is also handy to have bottles of water on-hand to clean cuts and scrapes, clean stained clothes or wipe bug splatter off of the windshield easier. A least 1 case per family of 4 on a 12-hour road trip is ideal. 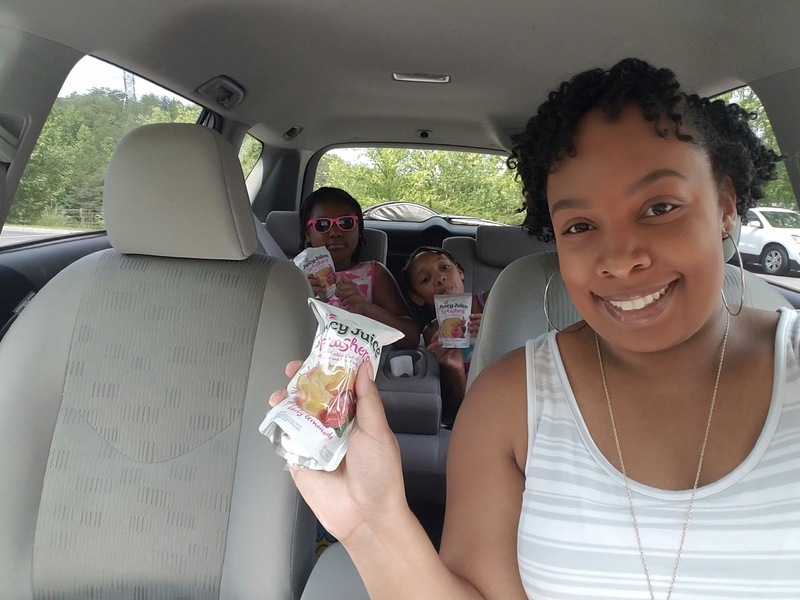 If you need sweetness without all the sugar, make sure to have a case of Juicy Juice Teasers and Juicy Juice Splashers as well; they're the perfect go-to drink for road trips. Charging everyone’s devices can take a toll on a vehicle’s alternator and battery. Solar chargers are now made for wireless mobile devices. The chargers cling to windows and charge devices using energy from the sun. Each person in the vehicle can pick a window to charge from. It is important to take your vehicle for maintenance and a safety check-up before heading out on a road trip. Your mechanic should test the battery’s strength, your brakes, electrical system, computer and all other major systems of the vehicle. Items that do not pass should be corrected immediately. Making sure that you have everything you need for a road trip can be exhausting. You will almost always leave something behind, even with a checklist available. Rather than packing the car right as you are ready to hit the road, pack it the night before and go through the checklist item-by-item to make sure nothing is being forgotten. What are some of your road trip must haves? Great list! One thing I always pack is my bluetooth speaker. My youngest daughter has to listen to one particular song over and over and over again. I give her the speaker and she is so happy! I never thought about packing bluetooth speakers. Great idea Dani!